I haven’t been looking forward to writing this installment to the series because I didn’t want to add up the outrageous amount of money I spent on gear. Before my trip, I received the first check for my book, making this the first time in my life I had a good chunk of money in the bank. So, between wanting to buy the best gear for my trip and feeling okay about treating myself to gear I’d probably use over and over again, I wasn’t exactly frugal when making my selections. I was seeking top quality, light-weight gear. I wanted to embrace “ultralight” backpacking as much as I reasonably could. Over the course of the trip, though, my opinion on ultralight backpacking would change. But I’ll get to that later. I began the trip with a pair of nylon pants, a light wool underlayer shirt, a medium-light top layer shirt, two pairs of socks, two pairs of boxer shorts, a baseball cap, winter hat, gloves, rain pants, rain jacket, and a light jacket. This was a fairly minimal approach to carrying clothes on a backpacking trip, and they would have proved enough for a summer excursion, but once winter came I had Josh (my base camp) buy and ship me more items, including another wool shirt, gaiters (for trudging through the snow), a facemask, and beanie. 1.) You only need one pair of pants. If my pants got soaked during the day, I wore my thermal bottoms at night, which kept me warm. In the morning, I’d put on my wet pants, which was unpleasant, but better than having to carry another pair of pants. 2.) Bring layers; don’t bring a heavy jacket. While hiking, I was constantly peeling off or putting on clothes to maintain comfort. This is possible with layers; it’s not with a big parka. 3.) I always thought recreationalists were lame for paying so much attention to their gear, especially their fabric type. But that stuff matters, especially fabric. Cotton does not handle moisture well; it’s very slow to dry. You’re better off wearing synthetic materials, or, better yet, merino wool, which breathes nicely, weighs little, and dries out very quickly. Those Patagonia nylon pants were amazing. They were old when I began the trip with them, but they held up for the whole trip and are still very usable. I probably had to stitch them up at least twenty times because of barbed wire incidents, though. My GoLite rain jacket was incredibly disappointing. It was very expensive, yet it failed to keep my clothes dry. Also, the seams started to come apart, which was especially disappointing because I'd hardly had to wear the jacket on account of it being such a dry fall/winter. Thermal underwear was infrequently worn, but was absolutely critical on days when I had to walk/sleep in extreme cold. The GoLite synthetic jacket worked admirably. It was a good sized jacket: not too big, and thin enough to fit underneath my rain jacket. I've had this REI hat since May 2007, and it's still in great shape. I began my hike with some La Sportiva trail running shoes, which were very light. I’d end the trip, though, wearing regular-sized hiking boots. Ultralighters make a good case about wearing lightweight shoes. In The UltimateHiker’s Gear Guide, Andrew Skurka says, “Five to six times as much energy is required to move weight on the feet as weight on the back, so wearing two pound shoes—instead of four-pound boots—is equivalent to lightening up your pack by 10 or 12 pounds.” That’s persuasive, but I don’t think I’ll ever wear lightweight trail-running shoes on a big hike again. My trail runners did nothing to keep out moisture, dirt, and debris. After a one-minute walk in dewy grass, my socks would be soaked. Between the dirt and water, my socks would turn hard and crusty, causing innumerable foot problems. Sure, your feet will get moist from sweat in a pair of hiking boots, too, but that’s different than walking in dirty, soaking-wet socks for the entire day. These Vasque boots performed well. Even though feet sweat in waterproof boots, they keep out dirt and debris better than trail running shoes. Throwing out my trail-runners. Good riddance. Northern Alberta is black bear country, so I figured I needed a canister of bear spray. Plus, I figured it could serve as a deterrent against people or other animals. I also kept a jackknife in my pocket at all times for the same reasons. In the end, I’d never “use” either, but they were worth their weight, as possessing some weapon reduced anxiety in moments of danger. This Gerber jackknife was a peice of crap. Toward the end of my trip, it would constantly open up in pocket without me asking it to, which could have resulted in a gruesome injury. I began my trip with the lightweight “Notch” tarptent, which saves weight by using two trekking poles to hold the tent up. The Notch, as you can see, is very light, and, for the most part, was a good shelter. There were about three nights, though, when the Notch collapsed on me during windstorms. The stakes the Notch came were weak and eventually broke, leaving me in some dangerous situations when the tent would collapse in windy and rainy weather. Around the third time it collapsed on me, it was starting to turn to winter, and I was sick of worrying about my shelter collapsing on me in a snowstorm, so I bought a four-season, two-person tent—the Mountain Hardware EV 2—which was excellent with dealing with the wind, and it probably kept me alive when I was stuck in an ice storm in a South Dakota cow pasture. I’d still recommend the Notch, but only if you’ll be traveling in spring/summer/fall weather, and if you aren't going to be vulnerable to the wind (i.e. forested trails like the Appalachian Trail). This Mountain Hardware tent was excellent and roomy. It kept me safe, so it was worth carrying, even if it was four times heavier than my previous tent. Again, to save weight, I purchased some lightweight goose down sleeping bags. Both of these were excellent, but the 32 F-rated bag didn’t keep me warm enough some nights early on, so I had to ship it home and spend a pretty penny to get a 5 F-rated bag. It was painful to spend so much money on sleeping bags, but they were well worth it. Western Mountaineering Antelope MF. It's rated "five degrees F," but to remain warm in it at that temperature, you must be wearing pretty much all your clothes to bed. The Act Zero 65 liter backpack was, for the most part, a good backpack. I wish I could have carried a lighter bag, but with some of my heavy electronics, the lighter bags I tried out were bursting at the seams with all my stuff in them. The Act Zero held it all well. When I sat on the pack, though, I broke the two aluminum stays inside, and the broken shards began cutting through the pack fabric. I was still able to use the pack all the way to the end of my trip, but it was in serious need of repair if it was going to be used again. I mailed it to Deuter for repairs and they very kindly sent me a new pack, free of charge. A+ for customer service. The foam pad was critical in keeping my body off the cold ground. It was only about 4 feet long, so I used it for my head, torso, and hips, and I laid my legs and feet on top of my backpack. The trekking poles were vital, and, in the end, probably took a lot of stress off my legs, allowing me to walk a little bit longer and farther each day, with more comfort. One of my Z-poles snapped for no good reason only 500 miles into my trip (I was walking on a sidewalk at the time), so I don’t recommend this brand. I was able to repair it with some plastic tubing and duct tape I got at a hardware store. I could hardly live without any of the above. I used my Black Diamond headlamp almost every night. I’ve had it for three years now, and it still works great. (I’d originally paid about $45 for it). The lip balm and sunscreen were critical early on, but once my skin and lips adjusted to being in the sun all day long, I didn’t need them anymore. The Chlorine Dioxide is the preferred “ultralight” method of purifying water, and it worked fine for me. I never got sick from drinking out of cow ponds, plus the drops do not distort the taste. The platypus water bottles were very light, but after 750 miles they started to fall apart, and I had to replace them with heavy aluminum water bottles. The wrist watch was also critical. With it, I could plan out when I should set up camp, which wasn’t always easy on overcast days. The compass was arguably my most important item of all. I’ve learned one thing about my instinctual navigation skills: I don’t have any. I learned to trust the compass more than myself. Thread and needle were essential for sewing up innumerable pants tears because of barbed wire accidents. My med kit was used frequently for foot and shin problems. Toe nail scissors were useful for cutting nails and cutting sewing thread. I carried good skin-like bandaids and a lot of rubbing alcohol for cleaning my ravaged feet. Clothing pins were used to lance blisters. The Canesten and Hyrdocortisone Cream were essential in fighting my athlete's foot problems. Can't live without a headlamp. These drops are so much lighter than carrying a clunky water pump filter. An ultralighter trick I like: the catfood canister alcohol stove worked wonderfully and weighed far less than traditional backpacking stoves. Playpus collapsible bottles worked nicely, but fell apart at the end. Good for short trips, but I wouldn't trust them on giant excursions again. Sharing my trip with others was important to me, so I had to figure out how I could blog after a day's walk. The obvious answer was an iPad, which has a big battery and thus doesn't need to be charged much. The iPad, also, would perform other useful functions. Because I purchased a Verizon cellular data plan for the iPad, I was able to connect to the Internet in some of the most remote cow pastures across The Heartland. Using the iPad, I was able to edit a story for a magazine I was writing an article for, edit my book with the Adobe app, and I could craft blog entries using the Blogsy App. I edited my films using iMovie, kept up-to-date on emails, and it was the luxury of luxuries to find a place with a good Wi-Fi connection so I could watch an episode of Downton Abbey with a friend’s Hulu Plus account. One of the biggest perks was having access to the weather forecast.I could look at the five-day forecast and get an idea of what sort of weather I’d be walking in. If I knew it was going to rain, I’d probably pack my gear more carefully and make sure my rain suit was easily retrievable. Also, the Google map app was an invaluable navigational tool. Even if there was no Wi-Fi or Verizon tower nearby, the iPad would still show me where I was on the map nine out of ten times. This was hugely helpful when I didn’t know where I was in remote areas. And when I was in populated areas, and needed to find a quiet place to set up my tent, I’d look at the Google satellite map and I’d find a forest where I could verify I wouldn’t be near anyone’s home. Lastly, it served as my book-reading device with the Kindle app. I knew that, because of the time of year I was hiking in, the days would be short and the nights long, so I wanted to make sure I had a lot of reading material. Though the iPad and accessories weighed a ton, it did allow me to bring as many books as I liked, which would weigh nothing. (The wonders of technology!) For someone who wants a back-to-nature experience on a trail, or cares about carrying the lightest possible load, I would suggest not bringing an iPad, a solar charger, and all its accessories (6 lb), as carrying that extra weight was an enormous sacrifice. Instead, I’d recommend getting a lightweight Kindle device (6 oz), which claims it can hold a battery charge for a whole month. The solar charger was mostly a wasted investment. The battery charged really slowly (one full day in the sun only filled up 1/3rd of the battery), and because I was throwing my pack over barbed wire fences all day, I was constantly afraid I’d shatter the solar panel, which I’d strapped to the top of my pack. I’d eventually mail the solar panel home because I wasn’t using it. The battery it came with, however, was quite useful. I could plug that into sockets at restaurants and then charge up my iPad at night when it ran low. The Olympus Tough camera was exceptional. It’s waterproof and shockproof, so I wasn’t too worried about damaging it. The picture quality was good. It was compact and could easily fit into my back pocket. The one (major) negative was with capturing movies. While it took excellent footage, there was always a strange “clicking” sound in the background that you could hear when watching it later on. Pelican case was excellent. I threw my pack over fences many times a day and never worried about damaging the iPad. Also the Blue Tooth keyboard made typing blog entries easy. I couldn't have written nearly as well by using the basic touch-screen option. Reading books on my Kindle app was an every-night exercise. This pre-paid phone is a piece of crap and only works properly in populated areas. If I could have done it again, I would have tried to bring a better phone. The portable solar charger was disappointing, as it takes a lot of sun to charge the battery. The battery, though, was very useful, because I could charge it in sockets and charge my iPad with it at night. Olympus TG-1 Tough camera gets a big thumb's up from me. This mini tri-pod was useful for filming and self-timed portraits. In the end, I became far more skeptical of some ultralight philosophies. The gear that failed me was all “ultralight.” My $80 raincoat didn’t stop the rain from soaking me, and the seams started to break, despite only wearing it for 5 percent of my trip. My lightweight trail-running shoes gave me foot problems, my tarp-tent collapsed on me in heavy winds, my collapsible water bottles leaked, and my lightweight trekking poles snapped. But this doesn’t mean all ultralight gear and methods are “wrong.” I loved my catfood canister stove, and I now prefer chlorine dioxide water drops to a clunky water filter. My lightweight sleeping bags are great. For weekend or week-long hiking trips, I think the hiker would benefit from most any ultralight gear. But for long trips, that will last months, you might want to seek heavier, more durable gear that can withstand the rigors of a full-fledged journey. 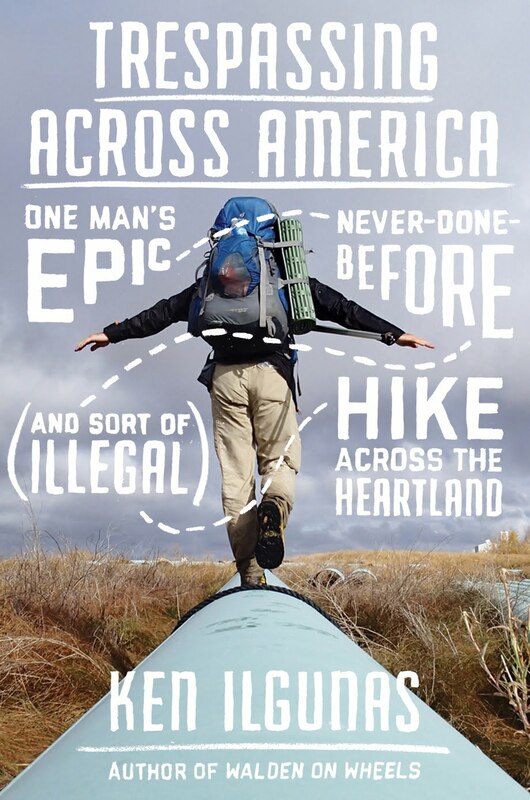 Cost of 2012-13 Keystone XL Expedition…. What a fantastically comprehensive series of posts! It looks as though you spent as much energy putting this together as doing the actual walk. Thank you! So you lived 4 months for $1750.00 a month and much of the clothing/equipment is still usable. Plus you have a book in the works. I'd say you did good. I also just read your story on Yahoo. What an awesome journey you have been on! Will be following along on your blog. Interesting and easy to follow. I get my bonus tomorrow and the first thing I'm buyin' is your book! Hi Ken, as you know I also saw you on Yahoo today. You're going to be inundated with new readers! How awesome. I loved how comprehensive and informative this post is. If I decide to camp or hike, I'll be sure to refer back to it. Can't wait to read more posts about how long it took you, etc. So hope you blog about interesting people you meet on the way. I had to laugh when you said you found out an important thing about your navigational skills. That you have none! LOL! Me too! Zero. Thank goodness for technology. Can't wait to read more. Who needs reality shows? Not me, I'd rather read a blog like this. Take care. I saw you on CBS this morning, but have been reading through the archives vicariously enjoying your adventures. Your guest post on cheapevvandwelling led me here. I'm old enough to be your mother, but am looking forward to the day when I can throw off the shackles of my encumbrances and hit the road. Thanks for your inspiring example! Might a high-end smartphone with a data plan have been the best choice of all? It could have replaced the tablet, prepaid phone, and camera. Staying in churches to charge your tablet and external battery could have been avoided as well, as smartphone batteries can charge from small solar panels. An aftermarket wireless keyboard and some freezer bags could have rounded out the equipment. Money saved. Weight saved. I've done some backpacking, but nothing of this nature. This looks like such an exciting journey that you are clearly well prepared for. I just wanted to say how much I have enjoyed reading your blog posts (took me awhile but I finally have read them all.) You are an inspiration and I look forward to applying much of the information that you have provided on future adventures of my own. I like your attitude very much. I live near Duke. As a foreigner fm a humble background I learn a lot of skills how to survive, and hv found lots of opportunities here in USA which lots of natives take for granted and ignore them. Bravo! 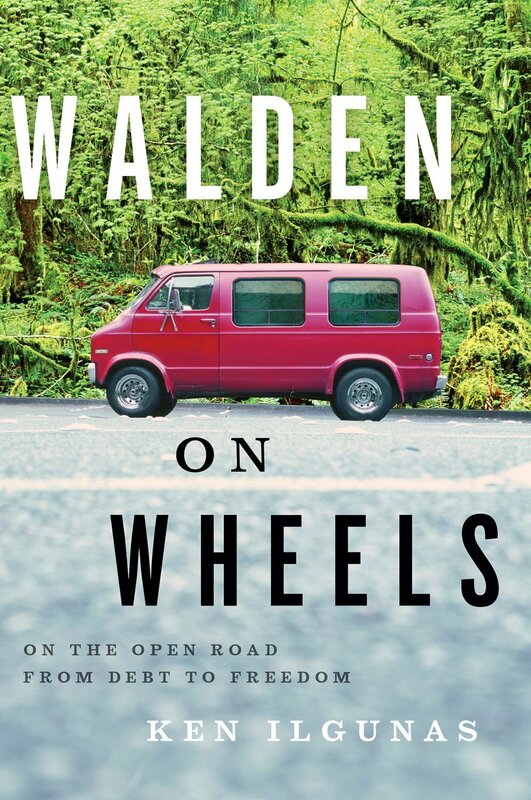 I am a freelance writer prepping a book review of your book, "Walden on Wheels" for The Summit Daily News in Summit County, Colorado. I was thoroughly moved by the account of your experiment. I look forward to sharing it with the Summit County community, which has many people trying to live those same ideals. On the fringes of the well-to-do resort-dwellers, there are many who want to live more simply and "closer to the bone." I look forward to reading your account, too, of visiting Chris McCandless's bus. The Dercum Center, the local non-profit I run had the privilege of having his parents present "Back to the Wild", which was very moving. All this best with your XL pipeline endeavors. I'm a fan. I came across your blog through a reference in Huff Post last February. I have long past the preoccupations of your age group but all the same I ended up "wasting" a complete weekend (you know, I just mean that this was not at all what I had planned to do :-)) reading most of what you wrote. I could go on for long but it can be summed up by saying that seeing someone of your maturity at your age gave me some hope about the future. Somehow many of your observations reminded me of a writer I greatly admire, Michel de Montaigne - I'll try to figure out why someday. Your interest and action in relation to climate change has motivated me to take action (modest by any measure but infinitely better than complaining and doing nothing). I keep checking your blog periodically and look forward to new material. Amazing story, Ken. I don't think I would have the guts to hike across North America not knowing what you would encounter. Such as dangerous animals getting lost, freezing to death, crazy people. I would probably be too scared. BTW, rubbing alcohol is also good for killing athletes foot fungus. Hope you paid those loans off. I have to ask, soap? seems like it would have been included in some form. Perhaps I missed it, haven't read the whole thing yet. I have another question! did you turn down rides when you were hitchhiking? if they looked dangerous? 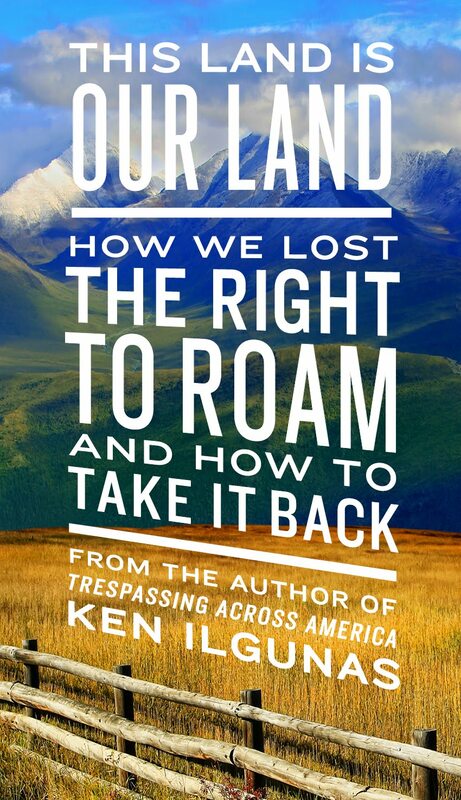 Ken, that was a wonderfully comprehensive account of the preparation that went into your journey. Did you pitch a tent every single night, or did you ever do the motel thing? If you tented every night, did you ever have trouble finding a place to camp? I think I'm hiking the John Muir trail in June. I have a tent and most other camping supplies. I just need a new sleeping bag that's actually mine (I use my dad's and he's had it since the late 60s. I have plenty of clothes but no rain clothes. I also want to bring my laptop, DSLR w/lenses, 35mm camera w/ lenses, Mamiya 645, and a Polaroid Land Camera 250 with enough film for drive across the country to PNW then the drive south, the actual 3 week hike itself, and the drive back to Alabama. I'd like to bring a solar/battery powered charger for my laptop so I can upload photos onto Lightroom so I can make room for more on my memory card and charge my iPhones. I'm bringing the minimum amount of gear so I can carry as many cameras as possible. My Canons (50d and A-1) have a couple of lenses. I have a Poler 1-man tent that's really lightweight. I plan on bringing 2-3 pairs of jeans, 3-4 undershirts, 3-4 flannels, a thermal, beanies, a wide brim hat, a few pairs of boxer briefs and wool socks, and possibly an extra pair of comfortable boots. Toiletries/my medications, hatchet, the minimum to make me feel safe and so that I can bring my cameras (they all shoot differently). I know how to pack tight. I do have a pancho. I'd like to bring as much as I can without breaking my back. Recommendations for large hiking packs? The film cameras are pretty small but everything together would be a lot so I'd need one with support bars. Daniel--I'd say I slept in my tent 9/10 nights. I slept in a few churches and motels along the way. Mostly though I slept in any woods I could find.